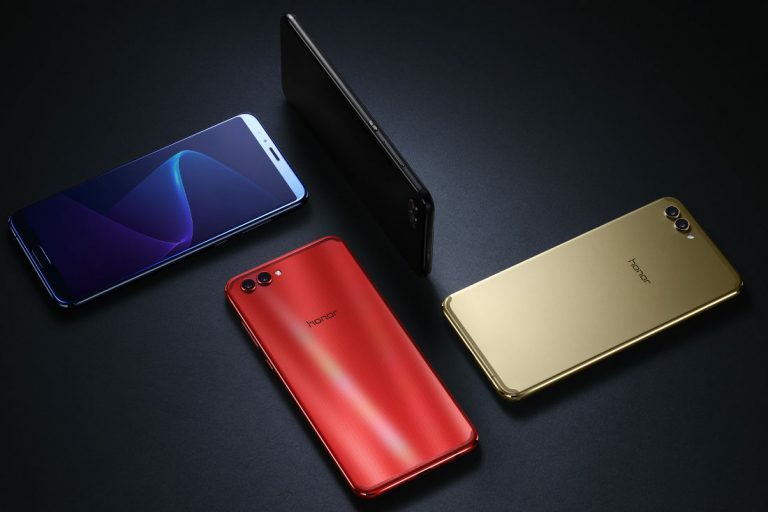 Chinese smartphone maker Honor has announced its latest flagship device, the Honor V10 at an event in China. The device is the successor of the Honor V9 that was launched last year. The device is powered by a Kirin 970 processor with an i7 co-processor for AI functions. The Honor V10 from the Huawei-owned Honor comes with a dual camera setup and features an 18:9 aspect ratio FullView display. It has been priced starting at CNY 2,699 (Rs. 26,350), it is currently available for pre-order and will go on sale in China starting from December 5. On the same day, Honor is going to launch its mid-range device, the Honor 7X in India. The Honor V10 runs on Android 8.0 Oreo with EMUI 8.0 skinned on top. The device features a 5.99 inch Full HD+ IPS LCD display with a resolution of 2160 x 1080 pixels and an aspect ratio of 18:9. The device comes with a pixel density of ~403 PPI and sports minimum bezels on the sides. In terms of performance, the Honor V10 is powered by an Octa-Core Huawei Kirin 970 processor coupled with Mali-G72 MP12 GPU. The device comes with an i7 co-processor. It comes with 4GB / 6GB RAM options. In terms of storage, the 4GB RAM variant comes with 64GB of storage and the 6GB RAM variant comes with 64GB / 128GB of storage. The storage on the device can be further expanded up to 256GB via a microSD card. Coming to the camera department, the Honor V10 features a dual camera setup at the back consisting of 16MP RGB sensor and a 20MP monochrome sensor. The camera comes with features such as Phase detection autofocus, f/1.8 aperture and dual LED flash. On the front, the device sports a 13MP secondary camera with f/2.0 aperture. The Honor V10 is powered by a 3,750mAh battery. Connectivity options on the device include 4G VoLTE, Wi-Fi 802.11 a/b/g/n/ac, Bluetooth 4.2, GPS, NFC, Infrared port and a USB Type-C port. The 4GB RAM variant of the Honor V10 is priced at CNY 2,699, the 6GB RAM + 64GB internal storage variant is priced at 2,999 and the 6GB RAM + 128GB internal storage variant is priced at CNY 3,499. The device comes in Aurora Blue, Black, Gold and Red colour options. It is currently available for pre-order in China and will go on sale starting from December 5.